Brexit: them planes will jus' keep on flying? Willie Walsh, chief executive of the International Airlines Group – the conglomerate which includes British Airways – has been giving evidence to the House of Commons transport committee on the potential impact of Brexit on commercial aviation. He was alongside John Holland-Kay, chief executive of Heathrow Airport. Sophie Dekkers, UK director of EasyJet and Tim Hawkins, corporate affairs director of Manchester Airports Group. Between them they put up a bravura display of confidence in assuring the committee - chaired by Labour's Lilian Greenwood – that everything was going to be hunky-dory. Come Brexit, the government was going to sign us up to a comprehensive air services deal, not only with the EU and its associated aviation partners, but with all the other countries with whom the EU has signed deals on our behalf. This has had John Redwood crowing on Twitter that Willie Walsh "has said he expects the planes to fly". Referring then to those who have been concerned that Brexit might bring a standstill at British airports, he asks> "Will the doom mongers now stop using this absurd forecast?" It really might be rather appropriate, however, if people such as Redwood remembered a few things. One of those is that it was the Prime Minister herself who gave rise to fears about aviation with her talk of a "no deal" Brexit. And while the mice have since started nibbling around the edges with their fatuous "no-deal deal", the fact remains that in the ordinary meaning of English words, "no deal" means precisely what it says. It does not imply that the UK negotiating team can walk away from Brussels on the Friday, having closed the book the Article 50 negotiations, and then turn up on the Monday morning bright-eyed and bushy-tailed ready to discuss a series of mini-deals – including a comprehensive air services agreement. That we should need such an animal is hardly disputed, and nor would we disagree with the proposition that, in principle, such an agreement could be concluded relatively easily. There are a few small glitches, though. One of those is a deal can only be concluded once the UK has left the EU so, to maintain continuity, somebody in the Commission has to be standing by ready to sign a completed document on the stroke after midnight, just so that all the aircraft already in the air can land at their intended destinations. That's never been done before but there are diplomatic instruments available to expedite the deed, such as the "exchange of letters" and "memorandum of understanding". These can stand in place of a full-blown treaty, until the formalities can be concluded. But there is one thing for sure. It is not possible to conclude any sort of a deal if there are no negotiations, and there can hardly be any negotiations if team UK has just gone walkies. Hence, the only thing that stands between us and crisis is Willie's bland assurance that them planes will jus' keep on flying. However, there is another potential hang-up in that the EU is not prepared to talk about trade deals and "transition" – either of which might include a comprehensive air services agreement – until the UK has made "sufficient progress" on the phase one issues. And for us to know that, we have to wait until December. Until phase two talks are on the table, therefore, confidence about continuity in aviation agreements is a tad premature. For sure, it may be the case – as Willie Walsh avers – that the EU would be as badly damaged from the absence of an agreement as we would – but there are still the procedures to go through. And without them, there really isn't going to be a deal. Listening to Walsh exude confidence, though, I didn't get the impression that he – or any of his colleagues – really understood what they were up against. At the midnight on 29 March 2019 (Brussels time), all UK registered airlines will cease to be "community air carriers", as defined by Regulation (EC) 1008/2008, and thus will cease to enjoy the degree of access to the aviation facilities of the Member States that they currently enjoy. Just to regularise the position in the UK, though, we are going to need hefty amendments toThe Operation of Air Services in the Community Regulations 2009. The interesting thing here is that the Civil Aviation Authority currently issues airline operating licences not under the aegis of UK law but by virtue of EU law, under Council Regulation (EEC) No 2407/92, which are given effect in UK law by the 2009 UK Regulations. On the face of it, before it can go anywhere with the EU – and all the other third countries – the UK government must completely rebuild its own system for licencing UK airline operators. Only then can it ask other countries to recognise them, presumably on a mutual recognition basis. However, things are never that simple. Assuming that the UK is able swiftly to negotiate an air service agreement with the EU, that is only the start of it. The UK will, by then, be a third country. This means that Regulation (EC) 1008/2008 will no longer apply. Instead, UK airlines will have to conform with Commission Regulation (EU) No 453/2014. This, as Willie Walsh will undoubtedly know, lays down "technical requirements and administrative procedures related to air operations of third country operators pursuant to Regulation (EC) No 216/2008 of the European Parliament and of the Council". This requires them to apply to the European Aviation Safety Agency (EASA) in order to gain approval as Third Country Operators (TCOs), in accordance with the procedure sketched out here. And, in accordance with the six-page application guidelines, the intended operator must "demonstrate a credible intention to conduct commercial operations into within or out of the territory subject to the provisions of the Treaty of the European Union". Of this, Mr Walsh will no doubt be fully aware, as he will most probably have to substantiate his airline's intention by submitting its planned schedule for commercial air transport operations or by making a statement that operations to the European Union are planned. 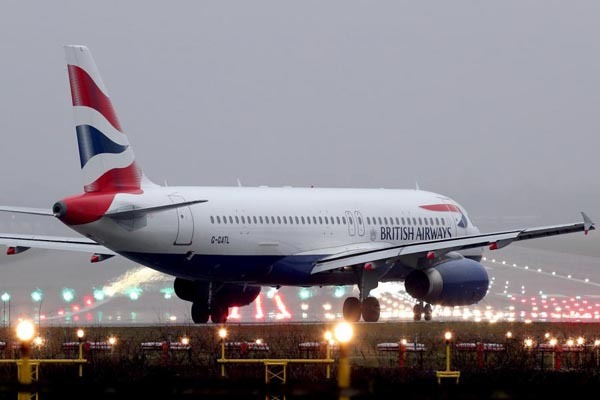 Given the complexity of the application procedure, one very much suspects that neither British Airways nor any other UK licenced airline will be seeing its TCO approval in the small hours of Saturday 30 March 2019, or even in the days thereafter. The complication here is that the application must be submitted at least 30 days before the intended starting date of operation – but it cannot be made until the UK has left the EU and become a third country. And once he's sorted that out, there is the small matter of lodging proof of insurance in accordance with Regulation (EC) No 785/2004. There would also seem to be some slight complications for foreign aircraft. The EU (EASA) has in the past dealt with foreign airlines and issued their TCO approvals, permitting them to operate in the territory of EU Member States (and the Efta States). But once the UK leaves the EU, these airlines will no longer have authority to operate in the UK. Thus, the British authorities (presumably the CAA) will have to set up its own approval programme, and invite all the foreign carriers (including EU/Efta carriers) to apply. No doubt these minor details can be attended to quite swiftly, once the CAA has recruited and trained the extra staff. That is unless, of course – as Mr Walsh would prefer – the UK government is able to negotiate continued membership of EASA. That, needless to say, won't happen if we walk away from the negotiating table. However, in broaching the issue of the UK's continued membership of an EU executive agency, Mr Walsh is potentially opening a rather large can of worms – as to how much the UK will be paying towards the Agency's annual €140 million budget. This too will have to be negotiated. And one does hope that if any UK operator re-registers itself as a European operator, it will make sure that its pilots are still qualified, as holders of British-issued licences will not be permitted to fly their aircraft. Such issues will undoubtedly emerge in due course, but not – it would seem – in the forthcoming transport committee report. Although it might have helped if the MPs had invited evidence from the UK regulator – the CAA – from the Department of International Trade which will have to negotiate the air service agreements, and even from aviation law specialists, it appears that this is the one and only evidence session. But as long as the MPs imbibe the Kool Aid from Willie Walsh and his friends, they will be able to tell us that we have nothing to worry about. And, given the prestige of these witnesses, how could the MPs possibly be wrong?